USHST is trying to put forward data-driven safety improvements that will slash the number of fatal helicopter accidents involving low-altitude unintended flight into instrument meteorological conditions. Members of the U.S. Helicopter Safety Team (USHST) are to discuss the top three types of fatal helicopter accidents and ways to avoid them at Heli-Expo 2019 in Atlanta on March 5-6, and the team recently released a report identifying how unmanned aircraft systems (UAS) and Optionally Piloted Aircraft (OPA) can reduce such accidents. 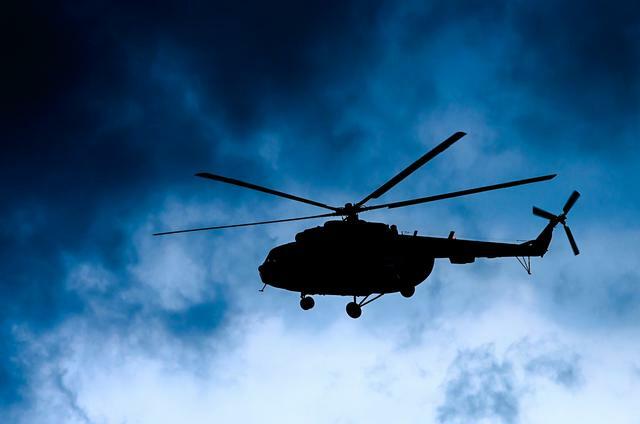 USHST is trying to put forward data-driven safety improvements that will slash the number of fatal helicopter accidents involving low-altitude unintended flight into instrument meteorological conditions and loss of control issues in high-risk environments. In the report’s analysis of 52 fatal accidents, the “support of UAS or OPA technology could have mitigated the risks that emerged during the operation,” according to the safety team. The report advised the adoption of UAS/OPA technology for low-altitude, monotonous operations in which pilots are likely to become fatigued, such as law enforcement searches, and for risky flights involving power line and wind turbine inspections, pipeline patrols, and utility data collections. The safety team’s report also recommended the adoption of sense-and-avoid technologies into helicopters. 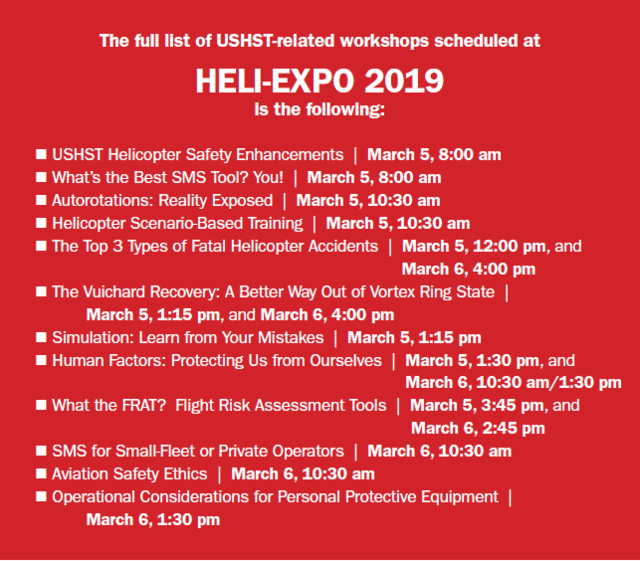 Members of the USHST will be providing their safety advice for Heli-Expo participants at 12 different workshops in a wide variety of topics.